The holiday season should not be a time when our planet is put under even more pressure. But unfortunately, our festivities do sometimes put a strain on the environment. 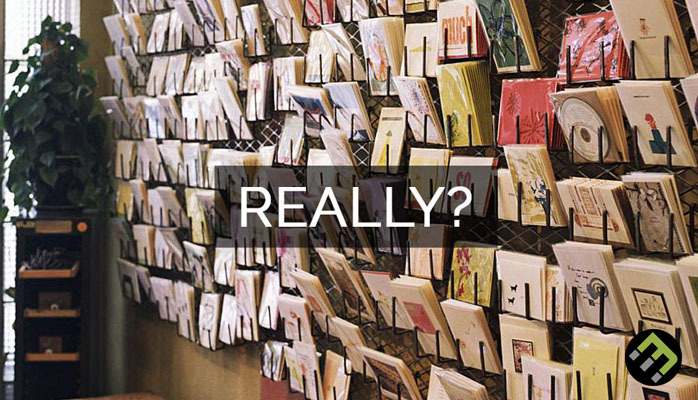 According to the Green Card Association, 7 billion greetings cards are purchased and sent each year – in the United States alone. Each of these greetings cards adds ecological strain on our world. Traditional greetings cards are not generally made with regard for sustainable forestry. The paper they use, dyes and inks, and the paper for envelopes and stamps, is rarely taken from truly sustainable sources. Often, things like glitter worsen our problems with plastic pollution. The glue on envelopes and stamps, and the carbon cost of mailing items should also be taken into account. It all adds up to rather a hefty carbon footprint and environmental toll – all for something that is only kept, on average, for one month. Fortunately, EcoMatcher can offer a better solution. Instead of sending a paper card, with paper envelope and stamp, EcoMatcher offers companies the opportunity to send affordable e-cards to their customers and employees. Each personalized e-greeting card is linked to a newly planted tree the recipient automatically adopts. You can track the newly planted tree with CauseTracker, a satellite linked mapping web application. Through this app you can find out the precise location of the tree, and even information about the farmer who planted it. By working with vetted tree-planting foundations in the Philippines, Indonesia, Uganda and Guatemala, EcoMatcher makes sure that trees are planted where they are needed most. The price you will pay for your e-greeting card and the planting of a tree is well within the average cost of a paper card, envelope and stamp. So, rather than contributing to the 7 billion trees plus that are cut down each year for our festive greetings, consider sending a positive message and choosing a greener way. Please contact EcoMatcher to find out about the possibilities and send a green e-card this holiday season.